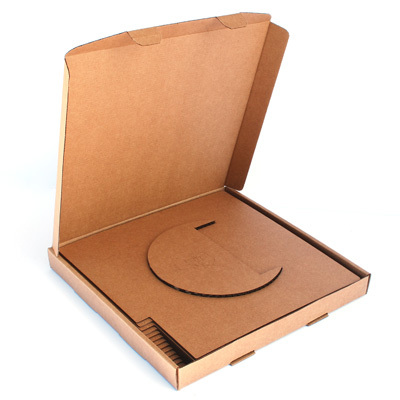 When you first think of cardboard, you probably think of big boxes, childhood craft projects and high fibre cereal. You probably don’t think about fancy sculptures that arrive as a flat pack and click together (without an allen key). Based in Virginia in the USA, Chris and Luis from Cardboard Safari make “neat stuff for your home”. The boys are committed to designing “fun and fascinating products for your enjoyment” as they draw inspiration from nature, using sustainable materials. 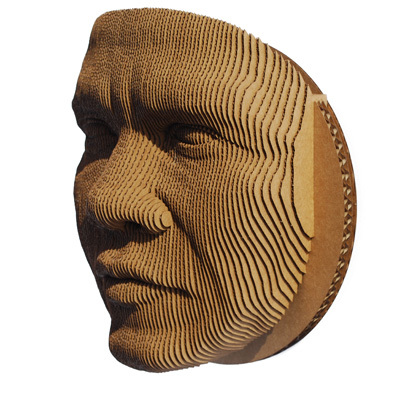 Here’s Jack – a laser cut sort of guy for your home or office. Or, as Chris and Luis describe him far better than I can: in the tradition of art masks, Jack is a dramatic wall art piece with a stunning visual appearance. Not bad for a guy who was delivered to your house in something that looks like a pizza box. 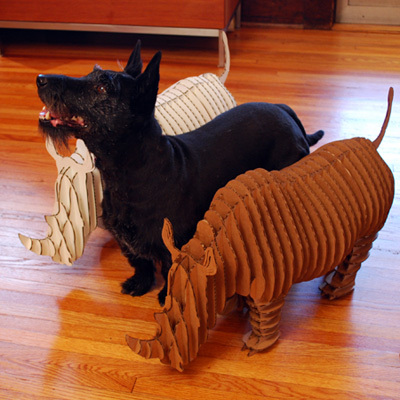 Or you might prefer Vince, who is apparently the most detailed design that Cardboard Safari have ever made. 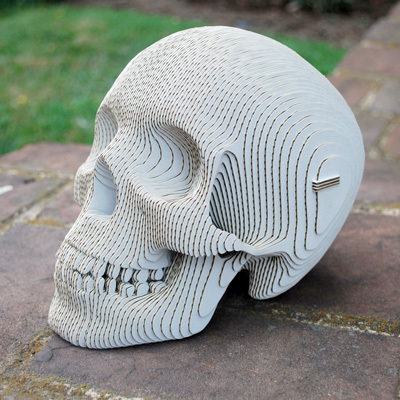 I’m not a big fan of skulls, but find this one pretty impressive. Friendly, even. According to the website, you can keep your cardboard in its natural colour, or you can pimp your sculpture with “paint, glitter, wrapping paper or other craft materials”. 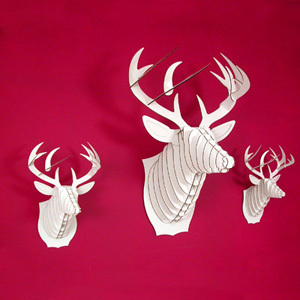 Alternatively, you could paint a wall in your house a really bright colour, add some cardboard deer heads and create a fancy-hunting-lodge-meets-Night-at-the-Museum kinda vibe. And last but not least, here are a couple of cardboard rhinos, grazing on the living room floor. And confusing that poor dog, who is wondering why his companions are not even remotely interested in playing. For more info and to shop online for a new flat pack friend, you can check out the cool range of designs at Cardboard Safari here. I’m with BCD – pimping your cardboard cut-out appeals to me, too… Imagine the fun you could have, Sparks. I may have to pimp one for you for Christmas!